ROADWORKS scheduled for one of Cannonvale's busiest roads will see major changes for motorists. Vehicles exiting Macarthur Drive onto Shute Harbour Rd will soon no longer be able to turn right. They will instead have to travel back towards Airlie Beach to use the roundabout at Tropic Rd. The works began last weekend, as part of the Department of Transport and Main Roads Safer Roads Sooner program, which aims to improve safety at intersections. Works will include dedicated right-turn lanes from Shute Harbour Rd into Macarthur Drive, Wills Court, Valley Drive and Barnes Place, a TMR spokesperson said. 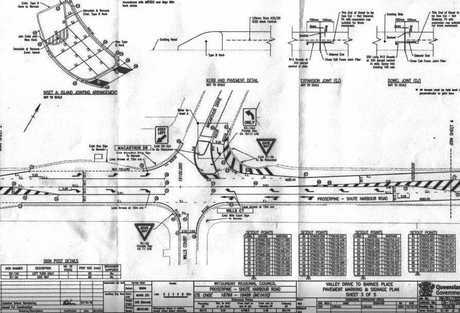 "Works also involve restricting the right-turn movement from Macarthur Drive onto Shute Harbour Road," the spokesperson said. The line markings have been a contentious issue with some local residents. Nearby resident Jacquie Sheils said she had to chase up the Department of Transport and Main Roads for a copy of the plans outlining the works. "Most of the people I've spoken to didn't receive the plans, and without the attachment including the plans, it only tells you, you won't be able to turn right any more," she said. Motorists turning left out of the estate will have to merge into a single lane of traffic travelling at 70km/h; there won't be a slip lane for motorists to ease into traffic. "They're telling us the reason they haven't built a slip lane, is because there isn't enough stopping distance to safely meet their standards because of speed," Ms Sheils said. 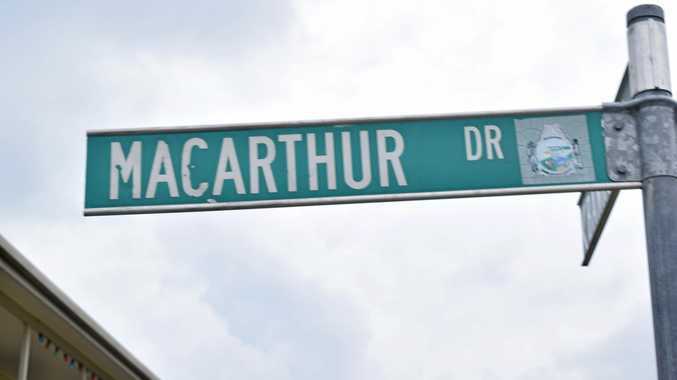 Although there will be an improvement for westbound traffic turning right into MacArthur Drive, Ms Sheils said the headache would be for drivers exiting, trying to merge into one lane of traffic. A Whitsunday Regional Council spokesperson said council had not been contracted to do the works, and they weren't given the opportunity to comment on the proposed works before they were announced. Cr Ron Petterson said it was as much as a surprise to him, as it was to the residents affected by the works. He said he thought a roundabout would have been a better solution, but understood funds may not have stretched that far. "I'm not a traffic flow expert, but I know personally that roundabouts do have a really good effect," he said. Nearby resident Andrew McKay said speed was an issue for motorists travelling on Shute Harbour Rd, while Allan Milostic, who drives back and forth along Shute Harbour Rd multiple times a day, agrees. Mr Milostic said drivers trying to turn left out Macarthur Drive during peak times would have to sit there for a long time. "It's a waste of money, it's not achieving anything, it should be put towards a better solution," he said. "They're drawing lines on the road, but ignoring the speed limit and quite frankly, it's obvious it should be dropped. It's a residential, main road, with lots of side streets. Why is it still 70km/h?" Mr Milostic, like many other residents believe the best solution is a roundabout, which would keep the flow of traffic during peak periods. 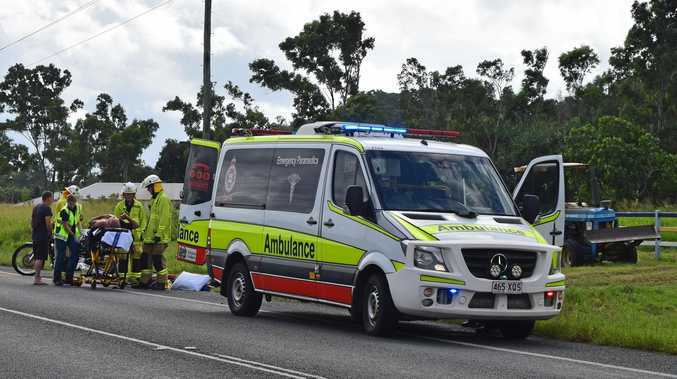 A TMR spokesperson said the stretch of road receiving new line markings was chosen after an analysis of road crash data indicated there had been five incidents in a five-year period, resulting in 13 people needing medical attention. Independent Member for Whitsunday Jason Costigan said he was in the process of formulating a petition. "Without getting into the nitty gritty, the department needs to go back and come up with something better, and they can start by listening to the local people who are clearly pissed off," he said.